© Angel Israel Achterbosch 2018 All rights reserved. For years I’ve taught students with little round watercolor palettes. They run smooth pale colors in wet streaks across highly absorbent paper. I’ve told them that the colors will darken just slightly as the water evaporates when drying, but to leave white spaces if they wish for brightness. As I venture into watercolors for myself, I have chosen to experiment with Windsor and Newton’s Cotman line. I need permanence as well as bright and vivid colors, so I’ve chosen a tube paint for my first project. I also need some bolstering of the spirit as I’ve had one girlfriend after another show up with hearts heavy this week. They are dealing with loaded plates, stuff like child and parent cancer, heart attacks, and a “no-cure on this side of the rainbow” response for ALS. I gathered flower photos from my time last year at Butchart Gardens, more that I took in my girlfriend Sara’s garden, and some from my time in the Netherlands at my mother-in-laws. These, along with C.S. Lewis’s quote “Courage, dear heart” is what I need now, in this wet and dark pacific northwest spring. So here’s to courage, bright, sparkly pigments running from my brush, and memories of happy garden days behind and to come. In my version of an ideal world, an innovative architect would measure up a site before a home was built. The direction of the sun, the path of the rain, the view and the sound patterns would all be taken into consideration before the owner laid out their list of needs and desires. I recently asked my mother where I lived first. She recalled the street and style of the home, so we searched for it. When it was finally discovered, it was no longer a house of the original design. It’s saltbox frame had disappeared as the needs of the new inhabitants had shifted. When we return to a place, we have often changed as much as the place has. Old gardens shrink as we grow, our love of purple shifts to yellow and our steps are either more sure or tentative. I’m exploring views of houses and their changes, real and imagined in a new series I’m creating right now. You can follow the process on my Instagram feed @rosemoors . That’s the same thing I need to remember as I work on my own projects. It gets better with practice, one day at a time. Each time I work on a fresh skill, advance a skill or concept, I’m creating a “body of work” a collection of pieces that is unified just like a girl mastering all the skills needed to drive. One of the resources that I’m finding helpful is an article by Carolyn Edlund on creating a body of artwork. It’s important for artists to focus on one area and have their work communicate clearly, however I think this carries over to other professions as well. Carolyn talks about applying to shows that fit your work, submitting your best work, and presenting your work professionally. In any profession, brushing up on your skillset and presenting your past work in an appealing manner is clearly necessary when attempting for a new position, but I think it applies to our every day work ethic as well. Thinking about an idea in a fresh way, bringing your best positive attitude to the table, taking care of the details are all part of creating your personal “body of work” whether you are an artist or not. On August 14, 2010, I lost my dream home. We’d slowly flipped houses from the time we’d married. We would buy a house, fix it up, get a job offer and move. But instead of selling our house, we would rent it out and get another one that wasn’t keeping up with the Jones’s. One that was a little smaller, a little rougher, a little cheaper, but always a little cute. Except the one with the gigantic above ground pool, rotting deck, mosquitos, and a freezer full of rotting meat. That one was not cute, it was just a lot of sweat. That August, 2010, I’d stood on the lovely concrete deck of the home we’d finally fallen in love with. I watched as a cement truck rotated grey sludge into the decommissioned septic tank under my feet. That was the be the last push toward solving the 5 year puzzle that our dream house had been. I didn’t yet know, but we would give up, our health screaming and whimpering for attention. Our funds exhausted and our creativity stolen, we would escape. 7 long years later, we’re now tucked into a little cottage with too much stuff. This August we’ve finally installed a new deck at this new place. We set up a pool for the first time this year and then promptly split the liner. So, once again I’m dealing with a broken pool, but unlike the flipped house, this one is cute. I’ve been posting occasionally on Instagram @rosemoors if you want to see cute deck pics. The Fly Lady calls them “hot spots”, I call them Pits of Despair. I’m addressing areas in your house where things multiply like bunnies, like the table right inside the front door, the edge of the kitchen counter, the dining room table… you know the spot I’m talking about. I’m taking on the one nearest the front door today. It’s a disaster, as I truly have not edited it since the oldest munchkin’s graduation party last month. Most of my inspiration photos show a serene white space with lots of room for storage. (As in the lovely white entry space from the dream house above.) However, my entry space is a dark area surrounded by a room of white. I use two footed compote bowls to hold tissues, keys and sunglasses. These are the only two items that have to stay on the dresser top. All the other items rotate by season. I’ve topped the dresser with a mirror so the items are lit from below by the weak and diffused light bouncing of the mirror top. There is not much light from overhead to create a really lit area, but with it being just below the television, it’s good to have the light diffuse. Below are my before and after shots. Two years ago my dad wrote a sketch for a story and asked me if it was a project I’d like to work on. I had many other projects at the time as well, so it sat on my computer, waiting it’s turn for attention. I had a bit of time last summer and created my own first sketch, a drawing for the book. It was cute, but it didn’t really do what we wanted. So, it returned to the waiting stage. 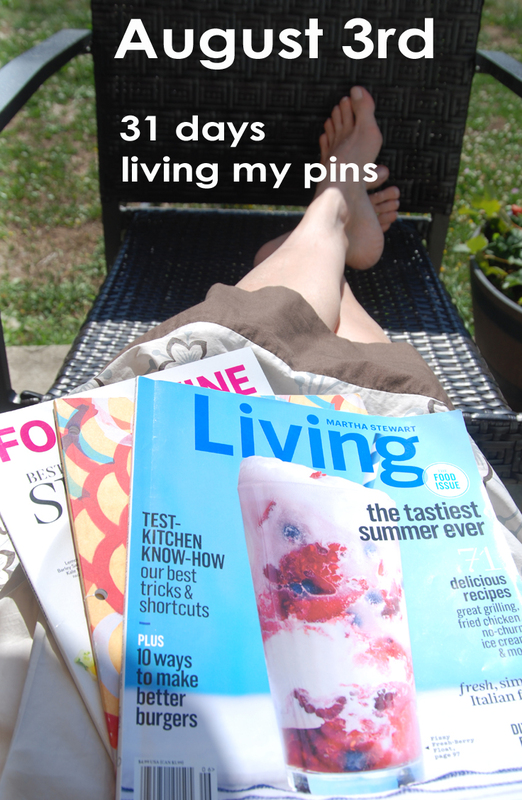 Soon after I joined Pinterest, I saw a pin that struck my fancy, and then another. The spark was kindled and I began a board for the project. The board now has 362 pins (and 56 followers, though it’s simply for my own project.) Today I used one of those pins and moved it to a second board for the project. The Completed for Papa’s Book board. 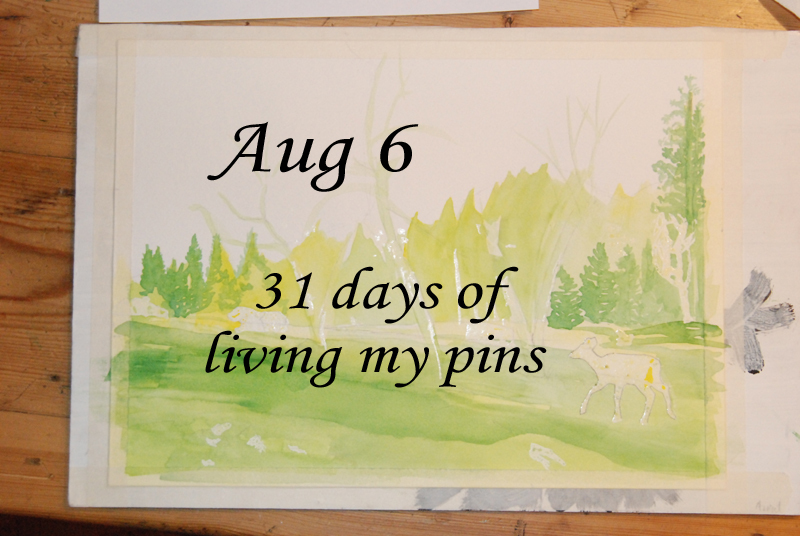 As I incorporate a concept that the pin inspires into the book, the pin is moved out to clear that idea from my mind. The pin I drew inspiration from today is a little polka dotted dress. Where do you put your ideas once you’ve finished with them? When we moved into this nondescript little grey house, the bushes hunkered down against the cold, the weeds spread their wings wide and water pooled in murky grass along the entire north side of the house. We’ve since hand-dug trenches inside the foundation wall and installed sump pumps, laboriously machine dug a French drain, and laid drainage gravel to whisk away the rain. In the winter, it now flows away from the house and we watch the storm drain swallow the wetness that was our swamp filler. Once the water was at bay, I turned to the weed bed. I pulled the noxious ones and over-wintered it with clover to enrich the depleted soil. I planted cast-offs from the end of season garden carts, not knowing what would survive this poor soil. The carnations died. The salvia fed the saucy hummingbird and then didn’t make it to the spring. The hydrangeas pouted and dropped all their petals, scratching at the air with their exposed brown branches. But the lavender was happy. It took over the spaces left bare by the carnations and salvia and fed bees by the hundreds every day. At peace for a moment with the weeding, I turned my attentions to the front bed. The pitiful roses crawled along the ground, the petals crushed by rains, their branches many and wild, all vying for attention. My vision is naturally a lush and heavy rose, one who is fragrant, heady, and carefree. 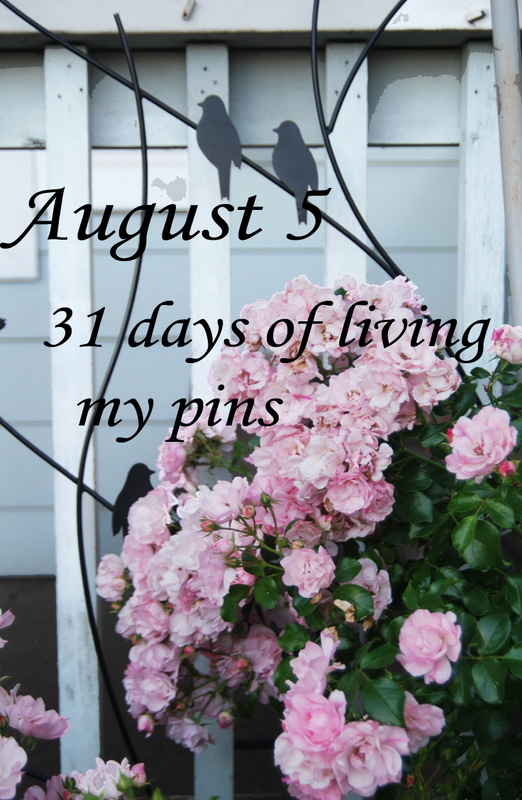 Ones just like the pin that inspires me for today. But the roses I’ve been given are of the roadside variety. They grace the drab concrete Walgreens Pharmacy across the street, hardly the Palace at Versailles. They mass when they are hardily clipped and kept low. When I visited my girlfriend Lori’s high maintenance rose garden, I saw how she’d trained her climbers. She chose two main stalks and attached them to an arbor. They grew straight and clean, flowering profusely up the side of the structure. They have yet to cover the whole arbor, as she envisions, but I can see it. I picked up two frames this week at an end of season sale and today I am planting them in front of the house. Next I’ll be choosing which stalks are going to be the lucky ones. All the others will be trimmed back next winter with the tips listed at Fine Gardening. I lost a paper yesterday. It was an important paper, a referral from a doctor to see the massage therapist because of my car accident last year. I could not find it ANYWHERE. I knew where it had been, but I’d switched desks with my husband and somewhere in the transition, it was lost. Paper could easily take over our whole house. Between schooling, work, my art and all the ideas that come with that, paper is everywhere. The pin I picked for today is another organizing one. I adore binders and page protectors. They’ve helped me in the past to get a handle on all the necessary stuff and get rid of what’s left. This is not easy when you are an artist! So many things (ideas, sketches, references) are written down and then kept. Sometimes they stay for years, with you knowing that eventually they will find their way back into your work. This is one of the reason I have come to love Pinterest so much! 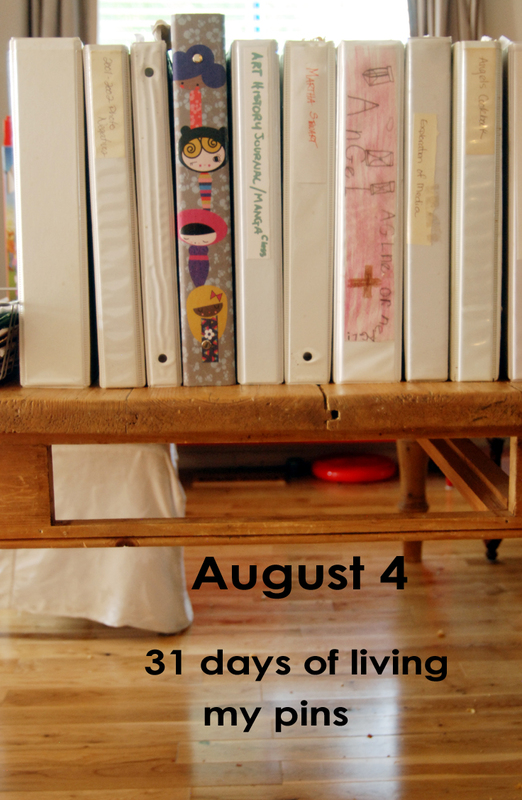 I can keep my concepts there without having to have them on my desk or in the mini cottage we call home. However, sadly, not everything can be kept on Pinterest. After organizing the whole top of my desk and starting in on the rest of the house, the letter has been found! With as many mouths in the house as I have, “Easy Summer Eating” becomes overwhelming. I stand in front of all the raw veggies in my refrigerator and my mind goes blank. I try to plan meals. No other planner follows the same method of my madness, though. My eating pattern is very light at the beginning of the week and then relaxes into the weekend. 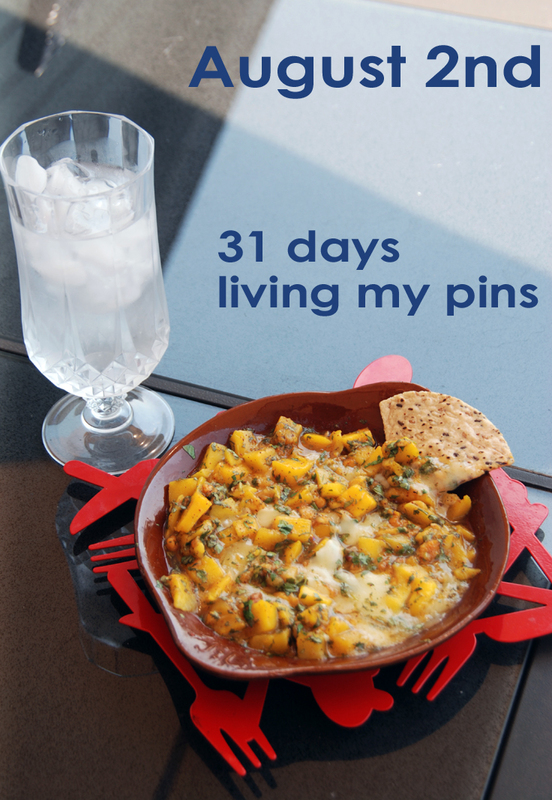 The pin I chose to work on today was meal planning, pinned from Tatertots and Jello, but with my own planner. The recipes below are all from summer magazine issues and feature fresh yummy fruits and veggies. Shaved Fennel, Zucchini, and Celery Salad from Martha Stewart ( I may sub in cucumber for the zucchini), and Corn on the Cob. Just click on the links and print the recipes. Write the day on the top of each menu, staple the stack together for this week, and you are ready to go! I’m caught in the circle of life. Not the grand circle of birth and life and death, but the ones that run inside the grand scheme. The whirlpools that run every day. I stripped the laundry off 7 beds, and started the long process of washing. We went to a party, got groceries and came home to put them away. While we were out, something oozed in the refrigerator. So, I had to wash it all down before putting the groceries away. Of course, I didn’t want to put the lethal cleaning clothes anywhere but directly in the washer, but, of course, it was still full of the last load. So, instead of putting away groceries, I started with the laundry. Does it feel like that circle gets played out every day, all day for you? The pin I chose to achieve on pinterest today was reading. I rarely step out of my circles to the relaxing place that reading resides. Today I did! Last night I made my mango salsa and today the munchkins got the chips. I acted on my summer reading pin and picked up a book that my girlfriend Patty loaned me. The $64 Tomato. It is hilarious, but mostly because it’s so terribly true. A few years ago both Patty and I happily announced to each other that we’d just planted our gardens. It promptly hailed the next day and killed every single plant. This year I have a garden plot with 40 tomato plants. Half we carefully planted from seed and labled and watered. Half I got from an organic gardener off of Craig’s List. The munchkins cheerfully offered to plant them while I was out of town taking care of my sister. When I got home the garden was beautifully planted, weedless and green. The lables were in a neat pile at the corner of the garden. I guess we are just going to enjoy mystery tomatoes this year.